I have a BM in my pocket at least one a week - REI 940 or Bugout. A ZT once in a while. When it comes to fixed blades, I don’t have any Spydercos. So 100% cheating there. Spyderco No 1 but also carry a very small Victorinox 2 blades knife/scissors on keyring. I own other knives but don't really carry them. Out bush, hunting, I need to carry my Green River skinners and filleters, partly because they are like an extension of my right arm. Am gradually expanding into other folding and fixed blade Spydercos which might replace some uses (cooking, filleting fish) but unlikely the Green Rivers on big animals. I have other knives that I keep but don't really use. For EDC I'm 90% spyderco. Endura/PM 2 is usually my go to. Sometimes I will swap in a ZT if I am in the mood. I use a ZT 0301 blem that I have specifically for a work knife that is meant to be abused. I haven't tried a spyderco fixed blade yet, I'll get a bow river for sure given the price that could fill a hunting niche as well. Only one non-spydie was purchased by me in the last I think over 2 years, the CS drop forged Hunter. If Spyderco would produce a similar thing, the Hunter would have to go. This thing is pretty cool. And at the same time so affordable, given that it's made out of a real premium steel. Of all the knives I see in all the online shops I frequent, there are very few that really hit my nerve - and the few that do are totally out of budget. Of the nice knives that are within reach budget-wise, 99.9% are spydies. And since I now know that quality is absolutely top notch, and since I here learned that they really care about their customers, my knive loving heart belongs to Spyderco. Most days when I’m out and about I carry a small CRK Inkosi insingo in the little leather pouch/sheath it comes with. It’s mainly because with it in the pouch I don’t have to worry about anyone freaking out because since I can just keep it in my pocket and there isn’t even a pocket clip visible. However when I’m out with friends or around the house The Inkosi takes a backseat to my spydies. Still though it’s a great knife and perfect for discreet carry situations. Not opposed to it but generally don't. I have a few other brands but they very rarely see any use. Collecting knives can be thought of as assembling a beautiful multi-hued tapestry from the finest raw materials from every corner of the globe. Within that tapestry are all of the colors and textures which to me represent the finest knives designed by hundreds of artisans. It is our job as collectors to assemble our own tapestry. I collect nothing but the best knives that I can afford from every possible designer and manufacturer. If I had more money, I'd have more Spydercos, just as I would have more fine knives from other designers and manufacturers. Assembling a collection is a lifetime endeavor so if you miss out on one knife, you might fill it with another fine specimen somewhere else. I strictly own Spyderco. I’m the worst fanboy of all! I do use my knives heavily though. My Tenacious and Resilience were my first Spyderco’s they are both very loose and rattle trap folders now nearly falling apart. 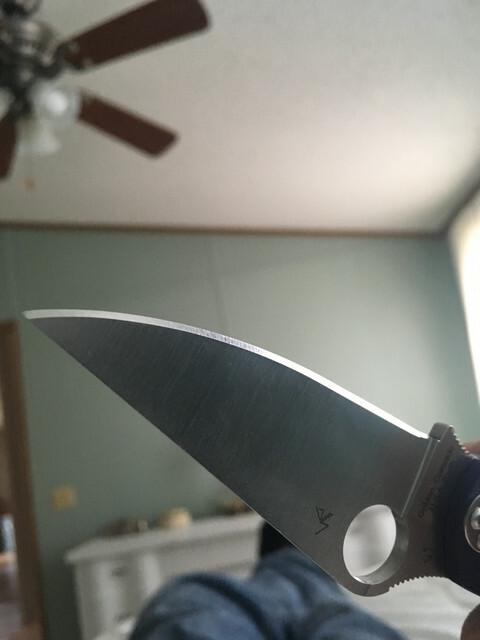 What really sold me on Spyderco was after I laid down $170 bucks on a PM2 Blurple S110V it has seen more abuse than my other China made models put together, though it’s very tight, but very smooth, and looks and functions like a new knife does. I wonder everyday how it’s possible. It must be built very well is all. ^ I’m new to knives, and this PM2 really sold me on why a knife can cost so much. They work every single time, and they work the exact same way every time. Last edited by tps3443 on Tue Nov 06, 2018 2:57 pm, edited 1 time in total. I carry a Spyderco as a “primary” knife about 35% of the time. 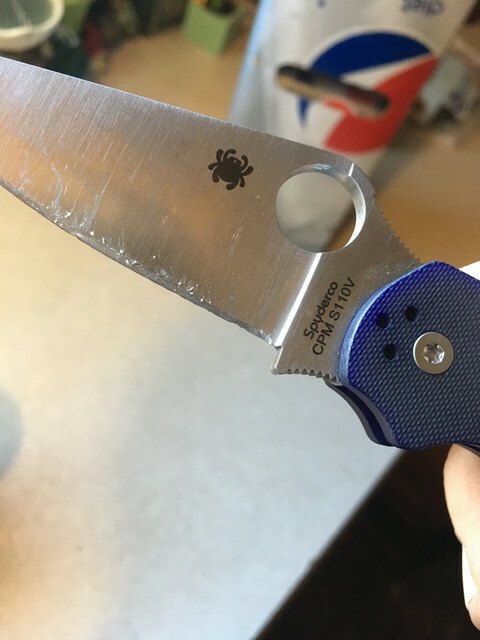 That said there is always a serrated Ladybug on my keychain (with a Vic Rambler) and my truck, car and motorbike all have Spydercos with rescue blades that live in the glove or top box. I carry a lightweight assisted Kershaw flipper for my left vest pocket. The other 4 are Spydercos. I've said it before, but my number one is, and at this rate always will be, the leatherman skeletool. Others I like are benchmade griptilian, CRKT M16, and two prized fixed blades, a USMC kabar and a Randall model 3-6. 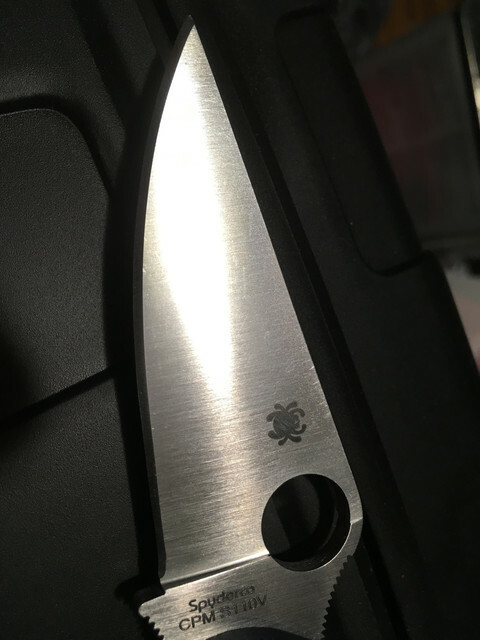 Spyderco is my favorite overall brand still, in large part because of the forum and how active Sal and co are with the community. Still hoping Ed replies on that hmong knife idea. Cheating? Hmmm. Never thought of it like that. Whatever, acquiring new Spydies, hearing what Sal has to say, and getting insights from other Forum members more expert than me have been far too rewarding to even think about other folder brands. I’ve been cheating for a while...CRK’s are just so nice.. Yes. I want to learn how to freehand sharpen. So I got myself a cheap Tangram flipper. This way I can make mistakes and not worry about messing up one of my Spydies. 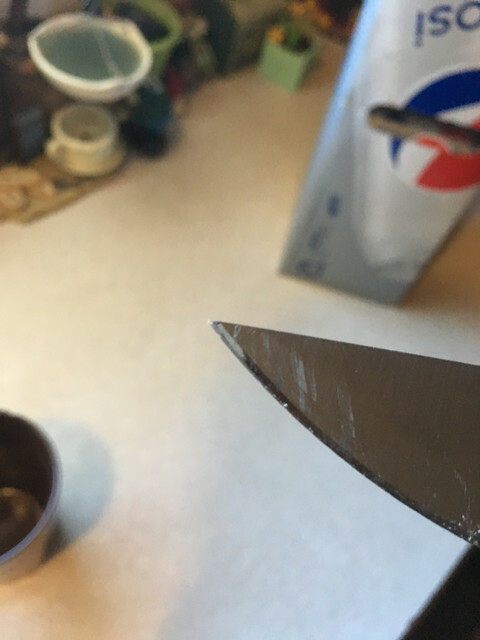 Once I get a handle on this new way of sharpening, my Sage 2 will be my daily driver. When I bought my PM2 Blurple I was wanting to use my Tenacious for EDC because I couldnt sharpen freehand without ruining a edge, or a knifes looks. So I was worried about using the expensive knife that was so beautiful looking right out of the box. ^ BUY A WICKED EDGE ! You can maintain, and recreate factory edges that look the same, cut the same, and there even sharper! It’s an investment, but it’s worth the piece of mind, and having a nice professional looking razor sharp knife all the time! And you could care less about dulling it, or using it. 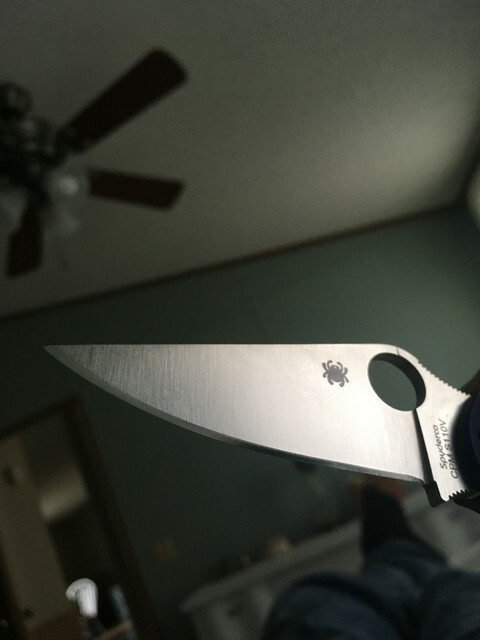 I didn’t know what Spyderco was 2 months ago.. I just got in to this hobby of owning any knife in general. If I can do it, you can too! Last edited by tps3443 on Tue Nov 06, 2018 5:10 pm, edited 1 time in total. I’d say I’ve been cheating on the butterfly since June when I got hooked by Spyderco again.